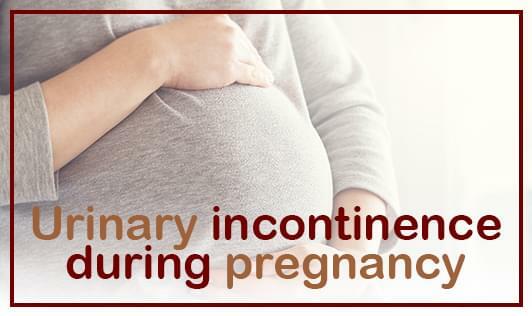 Incontinence or leaking of urine during pregnancy is more common during the third trimester than the first trimester and it is perfectly normal. What happens that, during pregnancy growing uterus or can say growing fetus puts pressure on the bladder and muscle of pelvic floor, this pressure results in incontinence. Hormonal changes during pregnancy, urinary tract infection and certain medical condition like diabetes, multiple sclerosis, stroke can also cause incontinence of urine during pregnancy. It is more commonly seen in multiparous, older and obese women. Do Kegel exercise, this will help to strengthen pelvic floor muscle. Include more fiber in diet this will help to combat constipation as well as incontinence of urine. Leaking of urine is normal but if urine is flowing then its time to visit your doctor.